Managed to lie in until 9.30 this morning. 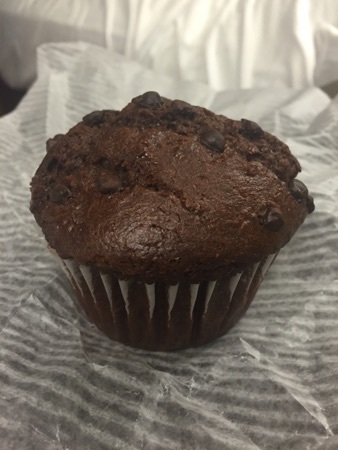 When we woke DH went for the coffee at el centro and picked up a chocolate muffin for himself and DD to share. We headed out to magic kingdom at 11.10am for our 12pm reservation for be our guest. We arrived bang on 12pm and were quickly heading inside, we had pre ordered our meal so this sped up the process. 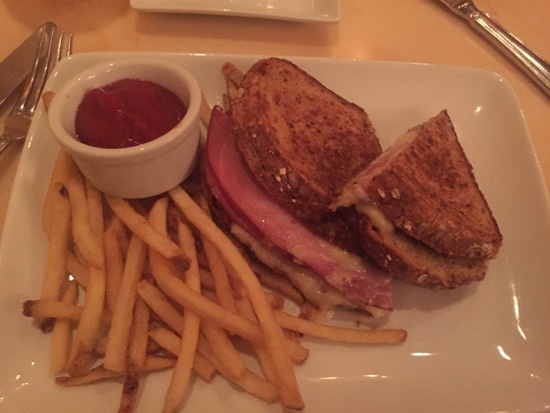 DH and I both ordered the croque Monsieur with fries . This was really nice, the bread was whole meal and these was plenty of ham and cheese inside. Not sirenian was as good as les chef du France but a very close second. 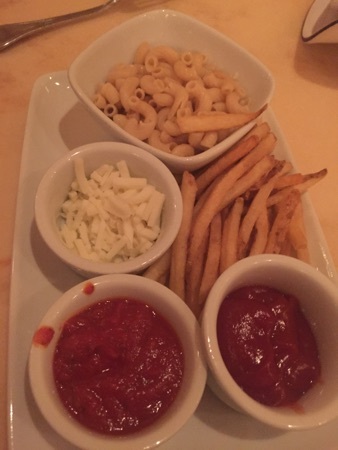 DD had the pasta with marinara and mozzarella cheese with a side of fries. She really enjoyed this and ate lots of it. 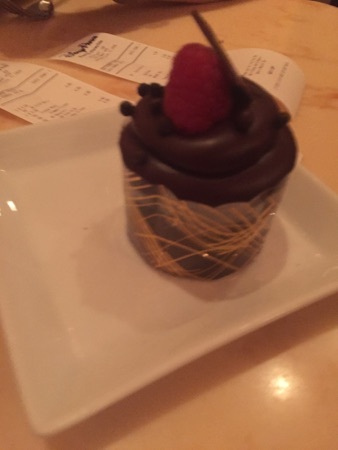 For dessert I got the triple chocolate cupcake, this is delicious. It was very rich and chocolatey and really good! The ganache was amazing. 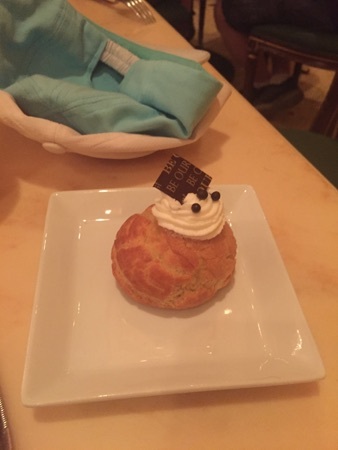 DH had the chocolate cream puff, he really enjoyed this. I tried this and thought it was good but preferred mine. DD had the masters cupcake. Me and DD shared our desserts so I tried quite a lot of this. 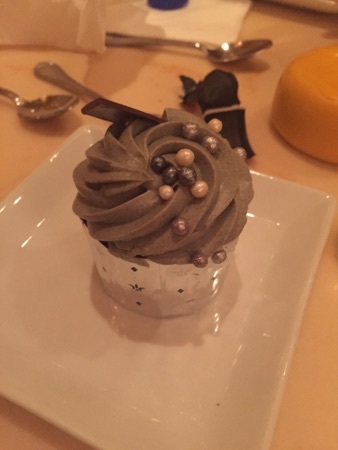 The grey stuff was delicious but I preferred the triple chocolate cupcake. 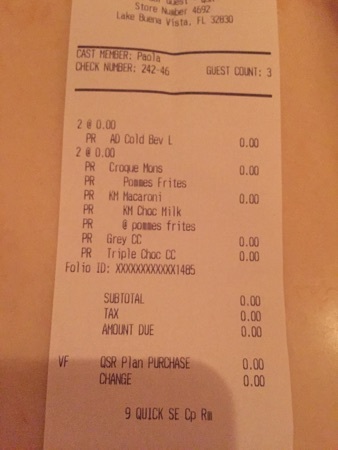 This should have come to $58 but we used 3 counter service credits and a snack credit as the children's meal doesn't come with dessert. We spent the afternoon fast passing out way around magic kingdom, between 1pm and 4pm we managed buzz light year space ranger spin, barnstormer, rapunzel & tiana meet, Cinderella & aurora meet, the carousel twice and Mickey Mouse meet. 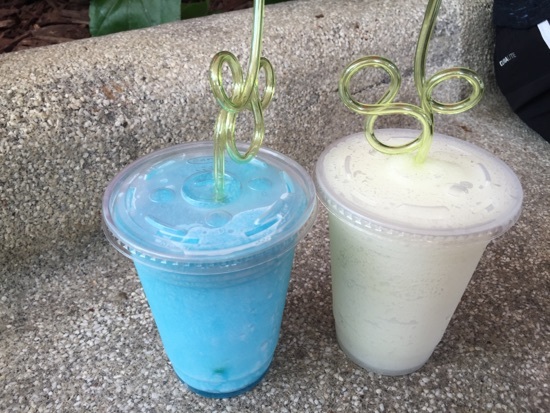 We stopped for a couple of fizzy slushed to share, we got a blue raspberry and a minutemaid lemonade, these should have been $4.69 each but we used 2 snack credits. They were really refreshing but we all preferred the lemonade one. We headed over to cape may cafe for our dinner reservation at 5.05pm. We got seated right at opening and ordered pomegranate lemonade to drink. 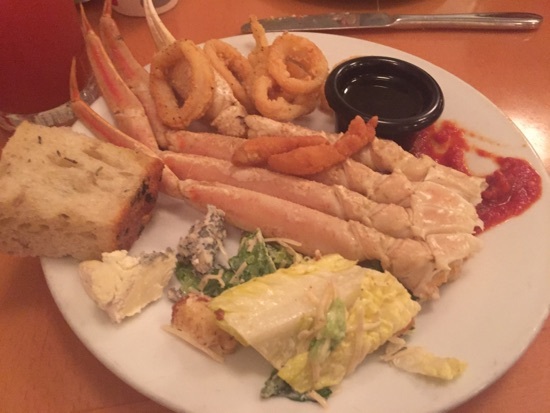 From the buffet i got Caesar salad, crab legs, breaded clam strips, some cheese, focaccia, calamari, marinara sauce and melted butter for dipping.this was all so tasty especially the cheese. 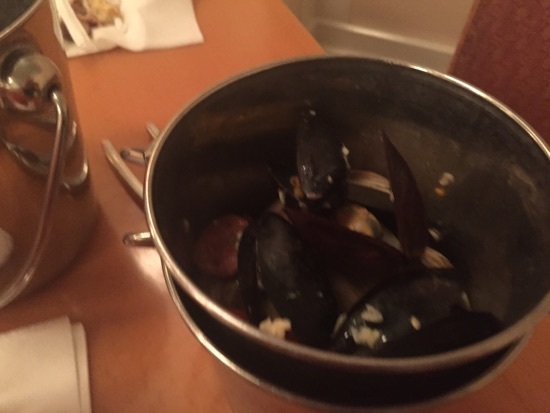 The clams were really good. 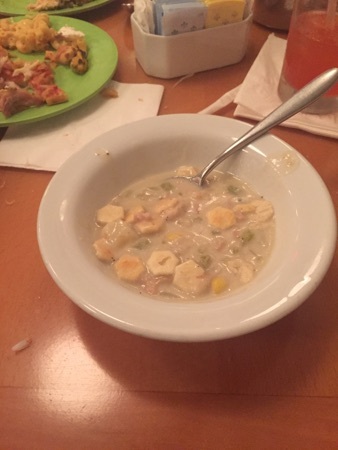 DH tried the clam chowder and enjoyed it. The dessert selection was amazing. 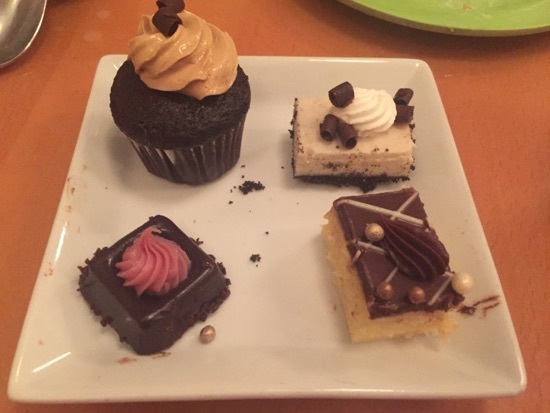 There was a flourless chocolate cake, a mocha cupcake, Oreo cheesecake and Boston cream pie. 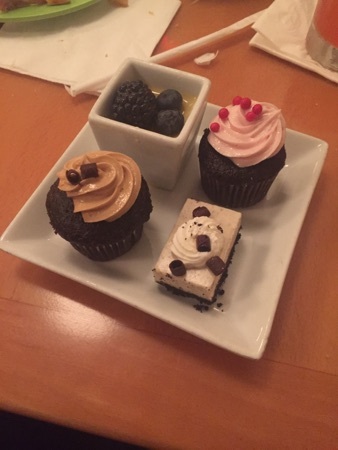 I enjoyed all of these except the mocha cupcake as I'm not a huge fan of coffee flavour but DH loved it. The Boston cream pie was my favourite. There was also caramel flan topped with berries which was just like creme brûlée. A raspberry cupcake. 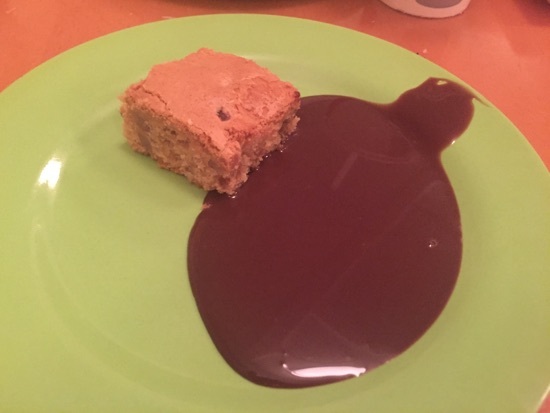 Peanut blondie and melted chocolate fondue. The blondie was amazing, so gooey and good! If I hadn't already had so much dessert i would have got more blondie. 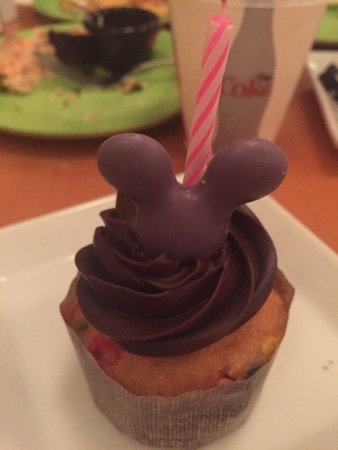 DD got brought a Mickey cupcake with a candle for her birthday which she loved. 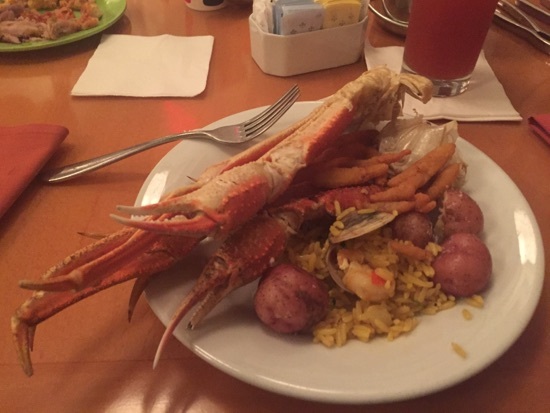 This meal should have come to $108 but we used 2 adult table service credits and 1 child's. 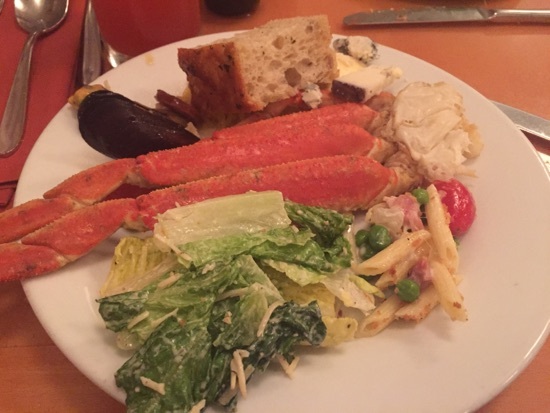 We thought this meal was excellent and it's definitely on our must do list in the future. We planned on doing Hollywood studios extra magic hours tonight but the weather had other ideas, so we headed back to the room for a chill and early night. Only managed 13636 steps today. New Photo Added by missdopey - 2 Jul 16 1:26 AM. Trip Number 3, just Disney this time! WDW:'03,'04,'06,'07x2,'08,'09x2,'10x2,'11x2,'12x2, '15x'2,'16,'17,'19. DLP:'02,'05.DLR:'05,'14. DCL:'10,'12,'13,'15x2,'16 Various hotels & villas onsite & offsite!